I am learning to use fast words and to sound out words I don't know. Here is my jubilee writing. 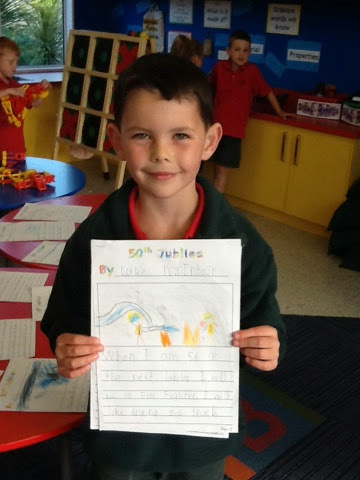 I wrote about what I would be doing in 50 years at the 100th jubilee of Oaklands School.